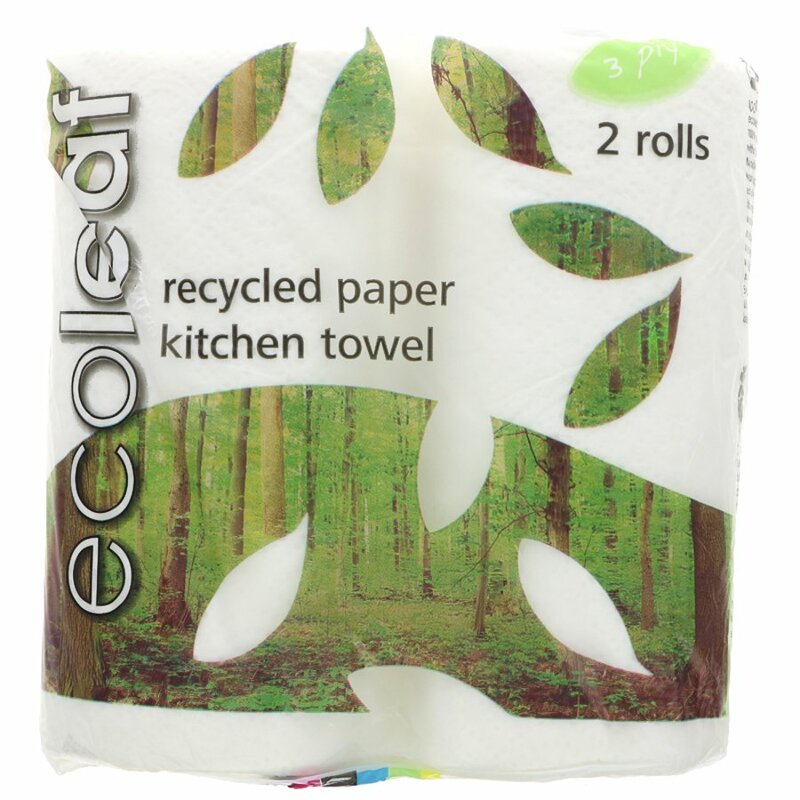 The Ecoleaf Recycled Paper Kitchen Towel - Pack of 2 product ethics are indicated below. To learn more about these product ethics and to see related products, follow the links below. It works - absorbent and doesn't disintegrate. rnEco-friendly packaging too. Q: Can you make sure product info includes statistics: for kitchen rolls number of sheets per roll and size of sheets (so that comparison between brands is easier)? A: The size of each sheet is 22cm x 23cm, with 60 two ply sheets per roll. Hope this helps. Jo. 18 out of 19 found this question and answer helpful.